This topic contains 13 replies, has 3 voices, and was last updated by paperweight 5 years, 6 months ago. So then I turned off the Charge for posting and Pack purchase. Then it put me through to the subscription form. The other thing I want is to only let people that signs up to have one post. This I could through the Post Count, inside the PMpro form. But this do not work either. When I have subscribed I can post as much as I want. When I am setting up the plug-in according to your install guide, the only message I get is: “You must purchase a pack before posting”. If I disable both options, the PMpro works. But the field where I can set how many posts the user will be able to post, doesn't work. please hold on. later today i am going to write a tutorial blog about this integration. will inform you here as well. We have TML, WPUF Pro, and PMPro all installed and activate. 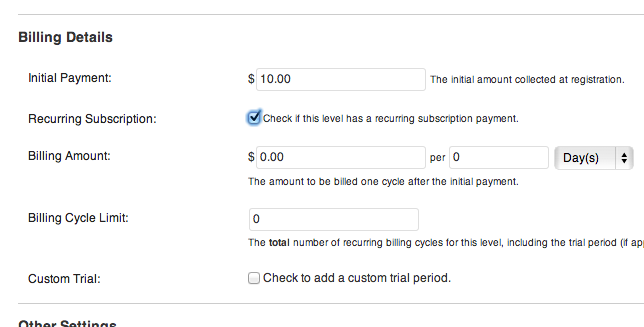 On “checkout.php” in the PMPro we want to add more checkout fields for the subscriber. Should we do that with a WPUF Registration Form and then integrate into PMPro's “checkout.php”? Or should we do it another way? But I do want to enter zero, so what is the best way to create a Free Membership level that does not allow for any posting? Check Add-ons under pmpro Add Ons tab. There is one named – “PMPro Registered Helper” , it is free and should solve your issue. – from your post submission page, select your membership packs as necessary. – also, don't forget to change unauthorised messages from PMPro -> Advanced settings. Thank you for the tutorial 😉 I have tried to do this now, but it's still not working. I think the main problem must be that I am checking recurring Subscription option, but it will not save. 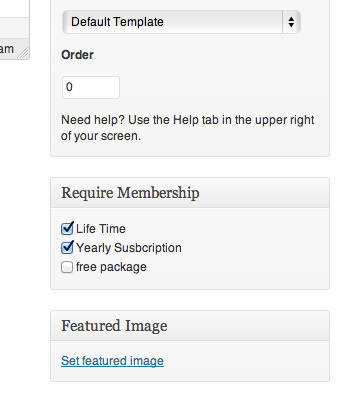 When I go back into the membership level form, the button is not chosen any more…. So for the chosen membership level, it is only showing: “You must purchase a pack before posting”. For the level that is not chosen, the registration form is showing, so that is working. @mahi: thanks for the help. So if we use the “PMPro Registered Helper” there seems now no reason to use the WPUF Pro Registration Forms, correct? Right. Unless you want to allow users to modify their profile information. Hmmm, but I do want users to edit their Profile information. PMPro seems to create a /your-profile/ Page that has the information there for editing. So can I just use PMPro for that? Or any thoughts or update son my worries about a good method for Registration forms so there is no conflict? The topic ‘PMpro and WFUP’ is closed to new replies.